Here’s how to ensure that you get every cent in benefits you’re entitled to. The benefits of Social Security are readily apparent for seniors. Each and every month, for those who qualify and have filed for benefits, the program pays an average of $1,350 to retired workers. This is a tangible and dependable benefit payment that a majority of today’s retirees count on to help them meet their month-to-month expenses. Medicare, which covers some 56 million Americans, 5 out of 6 of which are aged 65 and up, doesn’t have the same tangible benefits feel as Social Security. That doesn’t, however, make it any less important over the long run. According to an updated study from the Urban Institute, by the year 2055 the average lifetime benefits paid out by Medicare to a median-earning male will have surpassed the lifetime benefits received from the Social Security Administration. Or in layman’s terms, Medicare is closing the gap with Social Security in terms of importance, and is on track to surpass Social Security in roughly 40 years. This means seniors and pre-retirees need to understand the ins and outs of the program in order to get the most out Medicare. 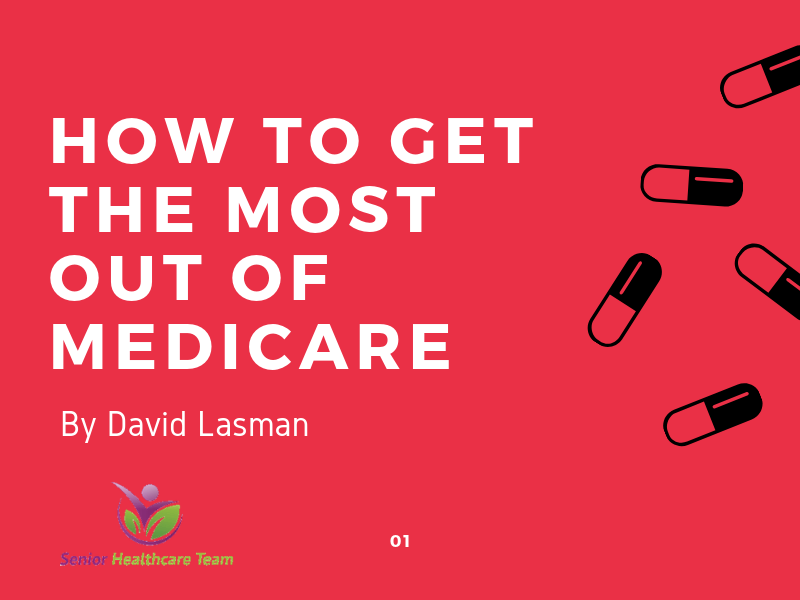 In general, there are four critical steps you should take to ensure you get every benefit out of Medicare that you’re entitled. Original Medicare, which consists of Part A (hospital insurance) and Part B (outpatient services) is pretty straightforward. There is no shopping around for Part’s A or B since they’re a one-size-fits-all package. Part A, for those who have earned 40 lifetime work credits, has no premium attached, while Part B does have a monthly premium. The worst thing you can do is simply auto-enroll in your prior-year plan without examining what other plans are offering. Doing so could leave you with higher out-of-pocket payments and less coverage for your prescribed medications. While we’re on the topic of shopping around, seniors should be willing to give Medicare Advantage plans (formally known as Part C) a look when comparing plans. Between 2005 and 2015, the number of seniors choosing a Medicare Advantage plan has jumped from 13% of eligible Medicare beneficiaries to 30%, based on data from the Centers for Medicare and Medicaid Services. Medicare Advantage (MA) plans are offered by private insurance companies and feature the convenience of having the services associated with Part A, Part B, and Part D rolled up into one plan (as opposed to having to sign up for each plan individually with original Medicare). Medicare Advantage plans may also cover regular dental, vision, and hearing visits, which aren’t options with original Medicare. However, the biggest advantage of an MA plan is that there are annual out-of-pocket limits ($6,700 in 2016) for seniors, not counting prescription drug plans. With original Medicare, there are no annual out-of-pocket limits, so choosing an MA plan can add some clarity to what seniors expect to spend on medical care. However, seniors should understand the drawbacks of an MA plan, too. Original Medicare is a widely accepted type of insurance by physicians and hospitals whereas an MA plan will have a smaller network of available physicians and hospitals. It’s possible your physician may not be within your network. Second, you’ll likely be required to get a referral when seeing a specialist, which isn’t something original Medicare patients have to worry about. Lastly, certain services covered by Part A and Part B under an MA plan could require higher copays, resulting in higher out-of-pocket expenses than if you were enrolled in an original Medicare plan. Everyone’s situation will differ, but it’s important that you at least examine an MA plan as a possible alternative. Another way to get the most of Medicare is by being honest with yourself when shopping for the best plan for you. No one knows your health history better than you. Therefore, if you have a chronic or serious health condition and will likely be visiting the doctor often, and you plan to enroll in original Medicare, consideration should probably be given to purchasing supplemental health insurance, which is also known as a Medigap plan. Medicare typically covers a majority of seniors’ eligible medical costs, but the consumer is still burdened with between 20% and 25% of the final costs of their medical care. Because there is no cap on how high these costs could be on an annual basis with original Medicare, Medigap coverage exists. Medigap is designed to help cover a substantial portion of the medical expenses you’d typically be required to pay that are associated with Part A and Part B. These plans are offered by private insurers, and just as with Part D, there are quite a few plans to choose from, so shop wisely to find the plan that best suits your medical and financial needs. As you might have imagined, Medigap premiums can add to your total monthly costs. However, the extra coverage could also provide peace of mind and remove some of the unknowns associated with your annual out-of-pocket spending. The final way you can get the most out of Medicare is by ensuring that you enroll on-time. Missing the enrollment period could wind up costing you a lot of money over the course of your lifetime. For example, Part D enrollment with original Medicare runs from Oct. 15 to Dec. 7 every year. This is also the time of year when seniors can switch between an MA plan to original Medicare, and vice versa. Failing to enroll in a Part D plan during this period could yield a lengthy and pricey consequence. The penalty attached works out to 1% of the national base beneficiary premium ($34.10 in 2016) multiplied by the number of full uncovered months that you didn’t have coverage. Now here’s the really unpleasant part: this penalty will follow you around for as long as you have a Medicare plan. Furthermore, the national base beneficiary premium increases with the rate of inflation each and every year. In other words, you’ll probably be paying a penalty the remainder of your life for missing the Part D enrollment period. Similar penalties exist for failing to enroll in Part A and Part B once you turn 65 years old. The initial enrollment period for Medicare includes the three months preceding your birth month, the birth month you’ll turn 65, and the three months following your birth month. If you don’t enroll in this seven-month window, you could face a 10% monthly premium penalty on Part B (remember, Part A premiums are free if you’ve earned 40 lifetime work credits) for as long as you’re enrolled in Medicare. Enrolling on time will allow you to keep more of your hard-earned money instead of handing it over due to penalties.